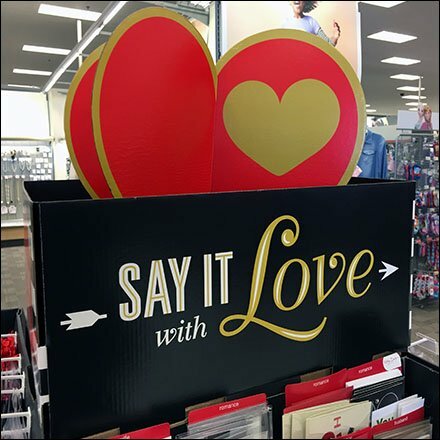 Surely among the most romantic of Holidays, this Valentine’s Day Merchandising Preview 2018 may help you visually merchandise and position your store for Seasonal Sales. Of course many romantic items like fragrances, jewelry and diamonds carry over from the romance of Christmas. You just need to reposition them. Add interest in Lingerie, Teddy Bears, Candy, Hearts and Flowers and there is no end to the creative merchandising you can bring into play. Consider this Valentine’s Day Merchandising Preview 2018 in the gallery of images immediately below. Scroll further for a subset of love in retail topics. Also check the “How To Use” menu above for tips and tricks on researching retail to focus on a narrower the range of retail interest, romantic or otherwise.